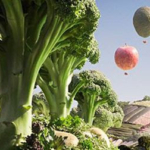 Understand how food, fiber, and renewable resource products are produced. The original idea of our Ag Breakfast, was to have a farmer bring a non-farming official to the breakfast to foster better understanding of those who farm and those who don’t. Ron is the Assistant County Executive for Dutchess County. Ron orchestrated the consolidation, collocation and reform of the County’s economic development apparatus, and developed the Think Dutchess Alliance for Business. He oversees the County’s Economic Development Advisory Council, and represents the County on the Governor’s Regional Economic Development Council. 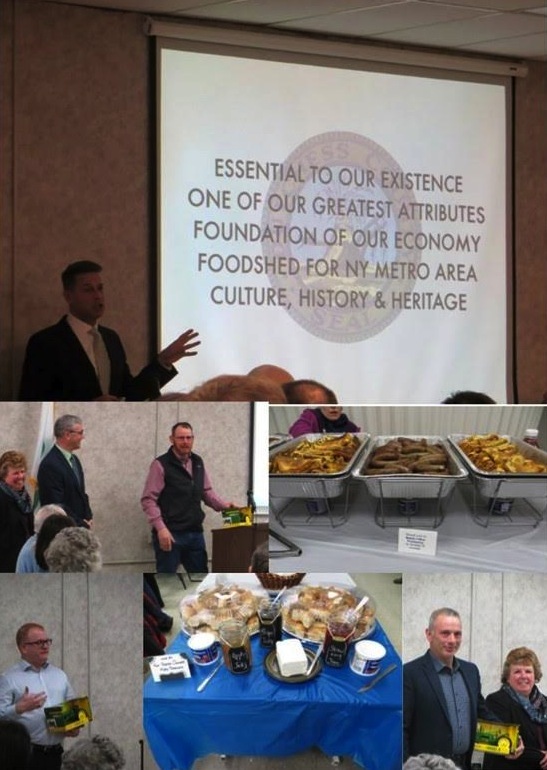 Under Ron’s leadership, the County has made agri-business a targeted industry, and is engaged in a comprehensive marketing campaign to highlight the diverse economy and opportunities in Dutchess County including agriculture, manufacturing, aviation, data centers, biotech and tourism. Doug Giles is a seventh generation farmer who came to Millbrook in the mid-1990s and hasn’t left. 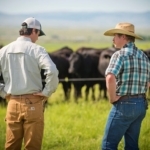 He owns and operates a registered Angus beef cattle operation. 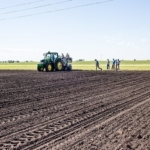 The farm consists of over 1800 acres of owned and leased land that provides various feedstocks and hay. A portion of this is for sale and the rest is used for their 250 plus head of cattle. Early on the Giles’ decided to aggressively market their beef and in order to do this a Farm Market was born. The farm market has supported other local farms through the sale of their products. 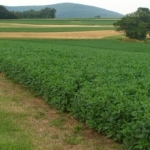 As this business has grown, so has the farms commitment to educating the community. Many events, tours and educational workshops have been hosted at Walbridge Farm for the local school, library and other organizations fundraisers. Mr. Giles is always willing to go on the road to be a spokesperson for the beef industry. This includes educating other farmers, food industry professionals, chefs, politicians, and his own customers. Mr. Giles has also given back to the cattle and local community in many other ways. 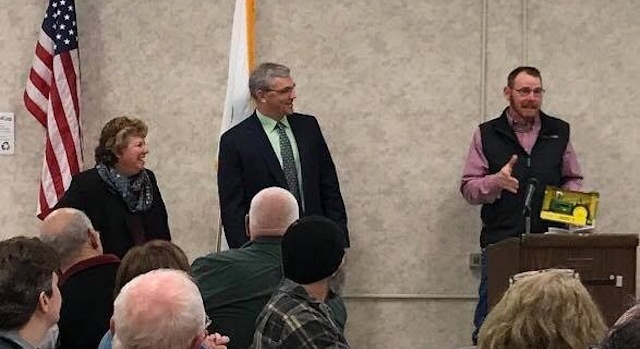 Mr. Giles currently sits on the Dutchess County Agriculture and Farmland Protection Board, is a member of the Dutchess County Ag Society, a longtime member and past officer of the NY Angus Association and a former 4-H Beef Club leader. Now in its 3rd generation, Migliorelli Farm is growing over 130 different varieties of fruits and vegetables, including the same strain of broccoli raab. In 1998, Ken Migliorelli sold all developing rights of his farm to be protected through a Scenic Hudson conservation easement to remain farmland forever and provide scenic beauty and wholesome food to our local community and the greenmarkets of NYC. Migliorelli Farm provides fresh fruit and produce to over 30 fresh markets a week both locally and in NYC. “We grow it, we pick it and we sell it and it doesn’t get any better than that.” Ken has been a great friend and promoter of our local agriculture. He was an early farmer participant in the GreenMarkets in NYC, wholesaled products in Albany and has several successful farm stands in various locations. Ken Has been a CCEDC Ag/Hort Program Committee member, does outreach for and with his neighbors and currently sits on the DC Ag and Farmland Protection Board. Eoin Wrafter joined county government over twenty years ago. Since 2014, with his appointment to Commissioner of Planning and Development, he has taken on many new roles in support of Dutchess County agriculture. 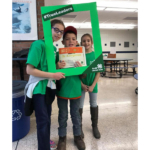 Having a previously limited knowledge of agriculture, Eoin has listened and learned about the trials and successes that are Dutchess County’s agricultural stories. Mr. Wrafter serves on the DC Ag and Farmland Protection Board, the County Executive’s Ag Advisory Council, and the Cornell Cooperative Extension Board. He was a leader through the Agricultural District 8 year Recertification project, helping to streamline the procedures, creating electronic tools to ease the process, and using the Planning Department staff and skills as a collaborative agency partner. 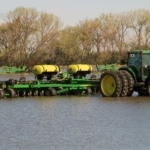 Mr. Wrafter was an integral part of the DC Ag & Farmland Protection Board and the development of the current Ag and Farmland Protection Plan. Now in its implementation phase he has been a key partner in getting plan initiatives completed, most notably assisting with municipal trainings about agriculture, assessors training about the ag value assessment program, and developing and overseeing the Ag Navigator contract. 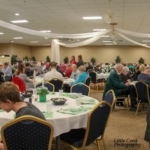 6th Annual 4-H Have a Heart Dinner a Success!